Once you find success with search engine optimization (SEO), you’re able to attract more buyer-intent keywords in search engines, and get all the new customers coming to you instead of your competitors. Are you looking for a better SEO program to implement for your organization? With this guide to Search Engine Optimization (SEO), we hope to help to enlighten you on the techniques and tactics for improving the visibility of your website in search engines. By working through this guide, you will learn the best SEO approaches for developing and implementing your own SEO Program for your organization. Think with the end in mind. Ready for a SEO offer for you? How to increase search engine optimization? How to learn search engine optimization? How to get search engine optimization? For as long as search engines have been around, marketers have focused on how to leverage search engines in order to promote their product or service. Over the years, there have been a lot of updates to the search engine algorithms which impact techniques used by professional SEO Experts in determining how to implement SEO Strategies for their clients. It goes without saying, SEO itself has changed dramatically over the years. “SEO” for some people is like remembering “New Zealand”– you heard it’s a real thing, but you’re not sure. SEO can provide a huge business impact for small, growing companies. By just being on the first page of search results, you’re going to get a lot more customer calls! Search Engine Optimization is the practice of improving your site so it’s seen by more people organically online. For example, we have this client that was pretty savvy about SEO before we met. He was using very old school methods such as focusing on getting backlinks from “Links” or “Helpful Resources” webpages (often found on older business websites). To assist this client in the beginning, we setup a test. We then ran the test. The test would be used to inform who’s SEO Method was better. It was his method vs our method. To start, we engaged with this client by continuing his original strategy. But rather than targeting maybe 50 or so people a day, we were targeting and getting open rates much greater than that (approximately 1100/day on average) so we were able to quicken the process. When you’re reaching out via email or phone, which is what you have to do in order to get backlinks from “Links” and “Resources” pages, that’s usually done in a very manual way, and unfortunately the recipient of the email oftentimes considers the email unsolicited spam. Though, this is all what client wanted — he thought: if only I could get more backlinks from these “Links” and “Resources” webpages, surely my rankings will improve just as they always had. While exhausting, this experiment gave a good way of testing the growing concern in SEO: how do you rank sites nowadays? To give you the short version, his old school approach didn’t work according to keyword ranking reports and other sources (eg Google Analytics). The approach we offered did work, and that’s why we still call him a client. Looking out 20 years from now, do you believe businesses will still be vying for the opportunity to be found in search results. Whether you have a radically different view at how the world will be or not, it’s hard to imagine a world where a business wouldn’t want to be found in the Search Market. Though the technologies will change, we believe the long view for SEO is strong in the coming years. 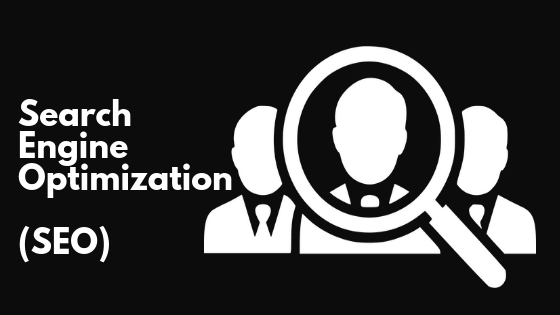 In the past, search engine optimization might’ve been siloed within the duties of a Webmaster or Marketing Team, though, we challenge you to take a more holistic approach when considering your re-optimizations in 2019 and beyond. Search Engines are continually attempting to improve their algorithms in order to meet business needs, and in order to align closer with human behavior. Keeping this mind, we know that search engines will change in the future. At the beginning, it’s important to think about Search Engine Optimization (SEO) as a process rather than thinking of SEO as a project. For example, we had a client that does really well in his trade and makes a good profit when you repair CNC machinery equipment. For lack of better terms, this client has a niche-niche. Though this client had a website, it wasn’t performing very well in search engines. He knew the feeling just like everyone: if you’re not of the first page of search results, you’re likely not getting any new customer calls. To make matters worse, this guy didn’t know how to access his website. Some people at least know who do go to find out; this guy had no idea. He asked if we could help even though we didn’t have access to the site. We told him we could. We were able to give him the results he needed, without access to his site, and he was getting more calls by just moving up to page 1 in search results. Teetering on the first page in this graphic, but now leveling-off on the Page 1, this client benefited from search engine optimization even though access to the website was not provided. The keyword report is setup to track the keyword, “ball screw rebuild”. What’s noteworthy for this report is that it’s not to scale– at the beginning of this campaign, the client was ranking in position 43 in search results (Page 5). So within a very short period of time, we improved his ranking from Page 5 to Page 1. For this report, we were tracking the ranking position in search results for “ballscrew repair”. Again, this was a valuable keyword for the client. At the start of this campaign, the client was ranking at the 17th position in search results (low on the second page of search results). Within a short period of time, search engine optimization techniques helped to improve his position in search results, and improve his condition with more phone calls from new customers. By nature, SEO is a process– it’s continually changing to keep up with the latest consumer behaviors. Being that Ads are one of Google’s main sources for revenue, search engines will continue to optimize their platforms in order to place more ads to sell. Disgruntled clients from shady SEO firms are perfect ideal customers for Google, and over time, search engines are looking to capture-in on all the new revenue from pay-per-click advertising on their platforms. This doesn’t have to be you, though. Search Engines are best leveraged when they are used as referral sources of web traffic with organic search placements. 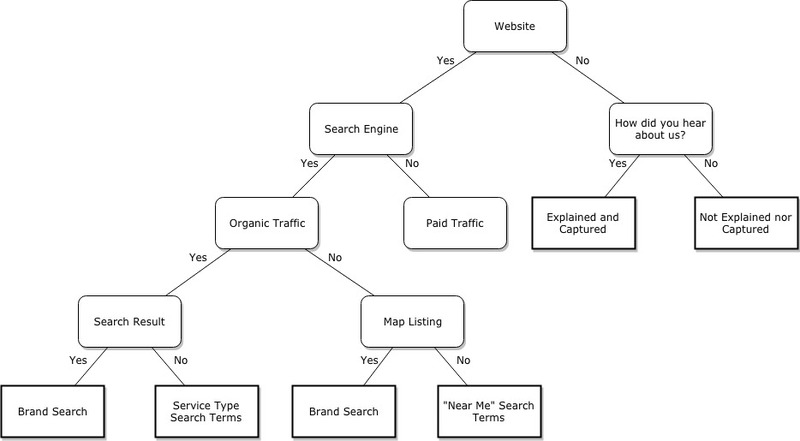 The way to rank organically in search results requires the continuous optimization of a web asset (in order to meet the ongoing needs from search algorithms). Search engines will rely more on signals about User Intent and User Satisfaction. Since search engines can track everything, do you think that they will change your rankings if web visitors go to your site from a search engine, and then go back to the same search result and be satisfied with a different search result? You betcha! The search engines will continue to rely on social signals (eg mentions on social media), and be less dependent on backlinks to determine trust in ranking positions. Though less reliant on backlinks, Links will continue to remain of the top ranking signals along with Content and Keywords. Keep these things in mind when you’re moving forward with search engine optimization for your business site. To be prepared for the changes in search optimization, you might want to consider the SEO Services we offer in order to be prepared for the future. We will discuss more about the Search Engine Optimization Offer later, though, you might consider: how do you plan to market in the 2020s? The best SEO techniques involve understanding the principles used by search engines since the beginning, and continue to be relevant today. When you are using Keywords, Content and Links to your company’s advantage in search engines, you’re applying SEO techniques which will work for improving your visibility in the Search Market. There is no “right way” to do SEO. The praxis of SEO involves the creation and rollout of ideas relating to the use of keywords, content and links in order to gain an advantage. The successful SEO experts help to improve their clients’ condition, and improve ranking positions in search results. Only rare examples exist when you don’t include all three into your SEO approach. The process includes reviewing your data, and developing approaches to capture more valuable customers to your website. The game of this is doing it when you know your competitors might be doing it to improve their position, too. We were working with a local guy in Lees Summit who owns an eCommerce store, and sells car enthusiast clothing and gear. His aim was for ranking first page of search results for the product he sells on his website. The problem, at first, was that he wasn’t ranking for any keywords he wanted. He knew exactly who his competition was, and that was good. By knowing the competition, we could reverse engineer several marketing components which helped those other sites rank. By reviewing, first, and then capturing competitor backlinks, he was able to get some traction faster than trying to do everything himself. At the same time, he was starting to see the residual benefits of SEO. SEO is one of those activities which can be managed. By conducting competitor analysis, you can review your competitors’ strategies and develop one to make the competition obsolete. The SEO Techniques differ on the type of business you run, and based on your goals. One of the valuable offers we provide at SEO Kansas City Company is our Search Engine Optimization Offer. With this offer, we help you gain clarity for which SEO Techniques to use, and then we execute the strategy for you. When you start SEO, you should continue. When you’re left behind, it takes more effort to regain momentum. To be honest, our SEO Agency is usually the last thing people consider when they want to grow their local business. And when you do call, it’s likely because you’ve already done your research or have had experiences with the benefits of SEO in the past. So I won’t bore you on why you might want to consider SEO for your business sites. Just being aware of SEO gives you the upper-hand. Have you ever played with an engine, like, in real life? That’s sort of what SEO is like, except in digital-form. We have this client from the Northland who owns a local moving company. He is a very kinesthetic type so owning a moving company really matches his personality, and he speaks with his hands. Remembering our first conversations with him, he was very animated with his hand gestures, and kept comparing a search engine like the engines in his moving trucks. Hey, the metaphor worked for us, and we’re still partners, so it’s all good. By searching for nearly any “moving company” “movers service” or any local Kansas City keyword related to moving in search engines, you’ll likely come across his business on the first page. Begin keyword research (filter down to only the best options). Match keywords to Buyer’s Journey, and create content. Match content to User Intent (for those coming in from search engines). Procure backlinks from relevant sites in your industry. This 5 step approach will save you a lot of time and effort when determining how to process your SEO requirements. In order to execute an expert search marketing strategy for your company, you need to get started. Search Engine Optimization is fundamental in today’s world, and it will only likely rise in importance. Make your decision, and think about us next time when you want results from your SEO Efforts. On the next page, you can tell us more so we can provide you with a fair, and straightforward offer for SEO Results. SEO provides you with an opportunity to get in front of would-be customers– without paying for it– from a reliable referral source for new customers which is from search engines. SEO helps to get you found in search engines for relevant search terms related to your business. When you’re at the top of search results, you can rely on the channel as a recurring stream of customers. Though, only the top 10 results make it to Page 1 of Search Results. There’s just a lot of factors. Unless you know what you’re doing, you might want to hire a SEO service to be responsible for delivering results. To increase SEO, you need to separate a couple realms of Search Engine Optimization, which include: On Page Optimization and Off Page Optimization. On Page Optimization involves anything you on the website itself, and requires login access for the site. Off Page Optimization involves elements that affect SEO that happen outside of the website itself, and does not require login access for the optimizer. For increasing search engine optimization, I’d take a look at your website itself and make simple changes to see how the changes perform in search engine results. This way, 50% of the battle for improved search rankings is controllable– all you have to do is optimize the webpages for the keywords that you want to rank higher for in search results. You can control this SEO activity. The other 50% of SEO processes involve getting mentions and backlinks for your business on websites you don’t have control over. For example, being listed on a site like Yelp or getting a backlink from a website are positive efforts to improve your Off Page SEO. To rank higher in search engine results pages (SERPs), nearly all the top ranking positions have some backlinks to the webpages that are performing well. By simply going out there and getting relevant and useful backlinks, you can also apply offpage SEO techniques to improve your rankings. There are a variety of ways to learn SEO, though, the most useful comes from when you’re actively promoting a business– you need to learn quick! Some of our team members have developed free SEO courses that you can access, and improve your skills. SEO is an excellent option for someone looking to be self-taught. It does take some time, though, to fully grasp all the concepts, though. To get optimized for search queries in search engines, positive action needs to be done to ensure your webpages are ranking for the types of customers you want to attract to your business. SEO requires someone who is knowledgeable to go in to the web analytics, identify opportunities, and develop the content to implement the experiment. Oftentimes, you can simply rank for the keywords you want to target, and sometimes it’s harder than you think. Search engines have a way to provide some false-positives, unfortunately. Though, there are several professionals, including our service, to help you execute the search engine optimization for your business.